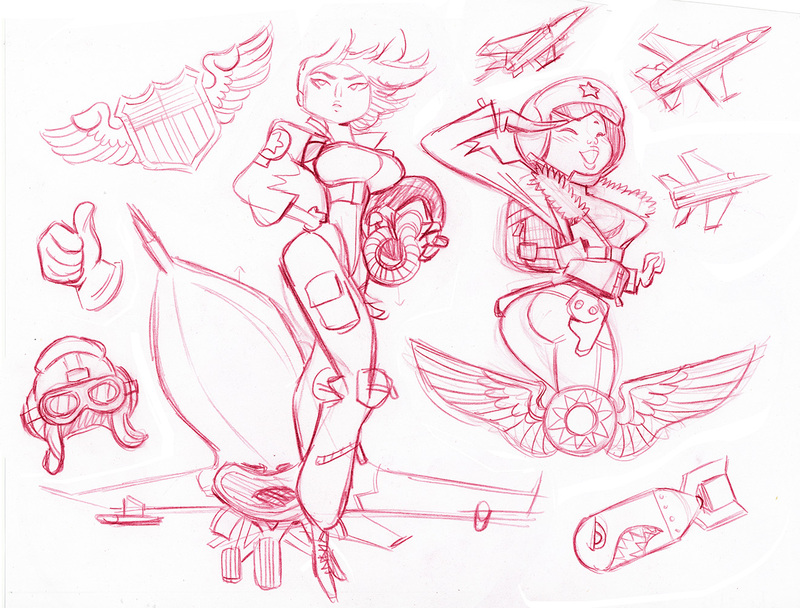 Fighter pilot finals for my Working Women temporary tattoo set. 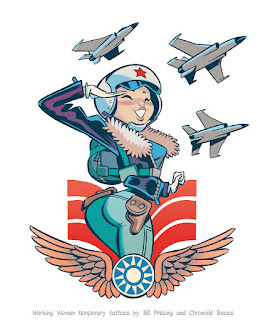 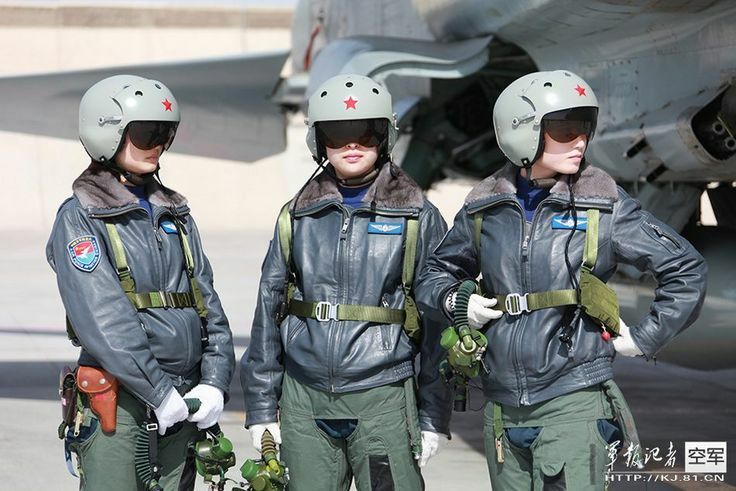 This second one was inspired by the real life female pilots of the Chinese People's Liberation Army Air Force. 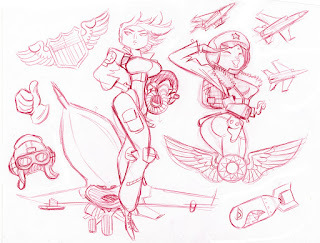 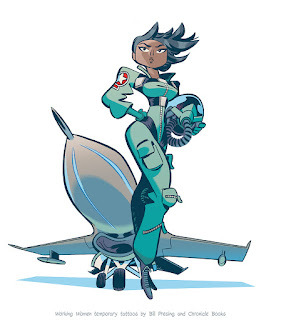 Fighter Pilot roughs for Working Women temporary tattoos. 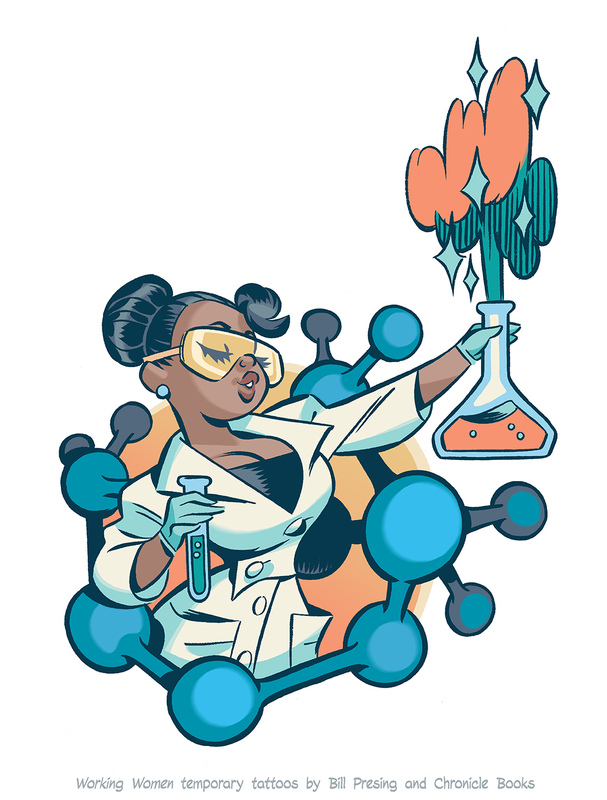 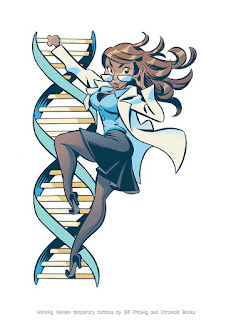 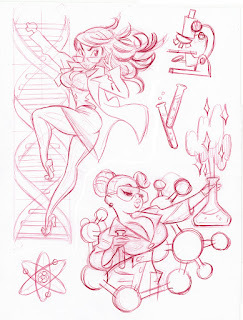 The other scientist from the Working Women temporary tattoo set. 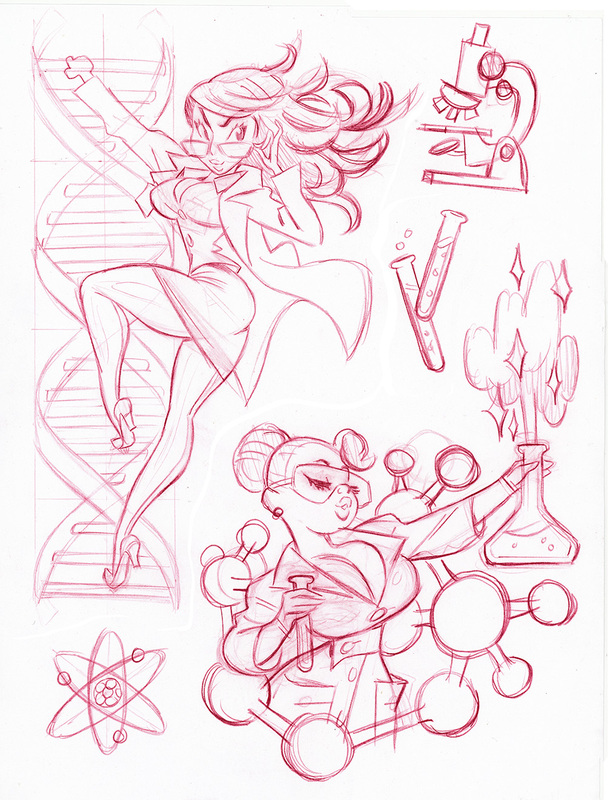 Final tattoo art for one of the scientist pin-ups. 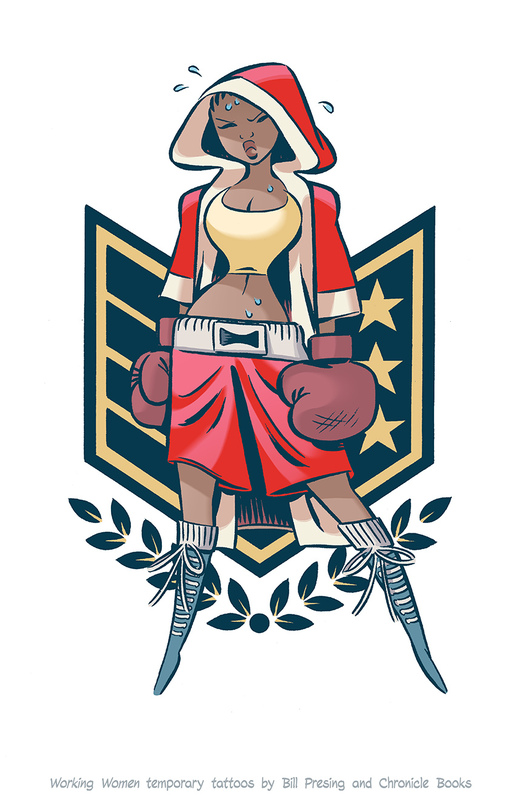 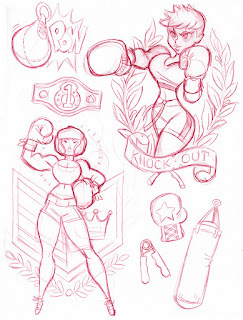 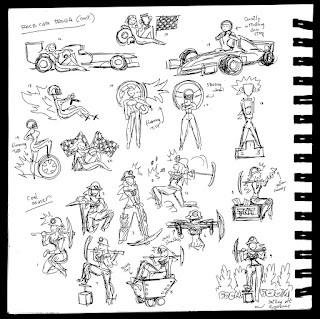 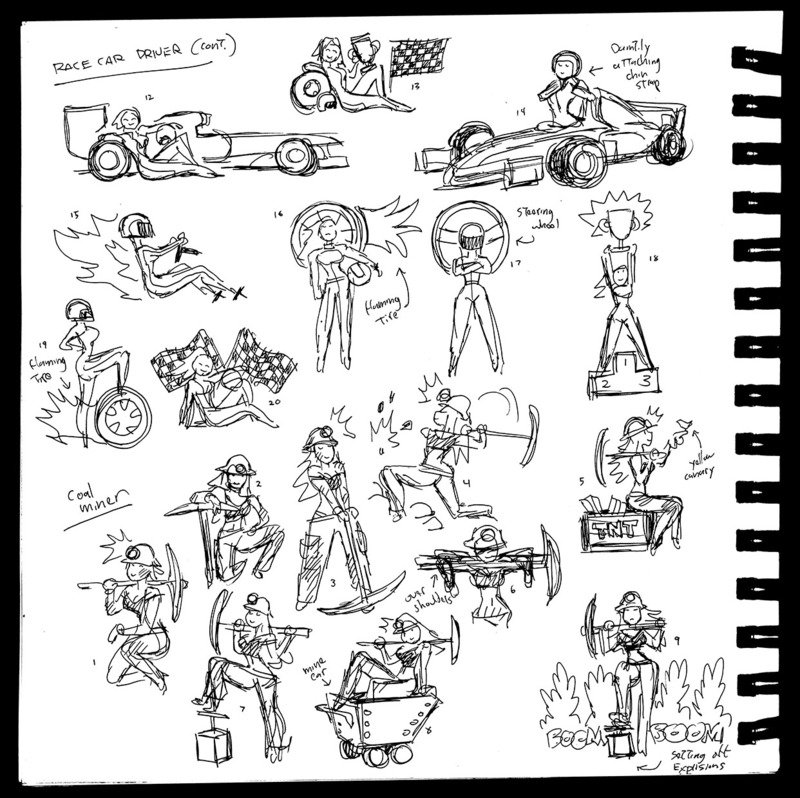 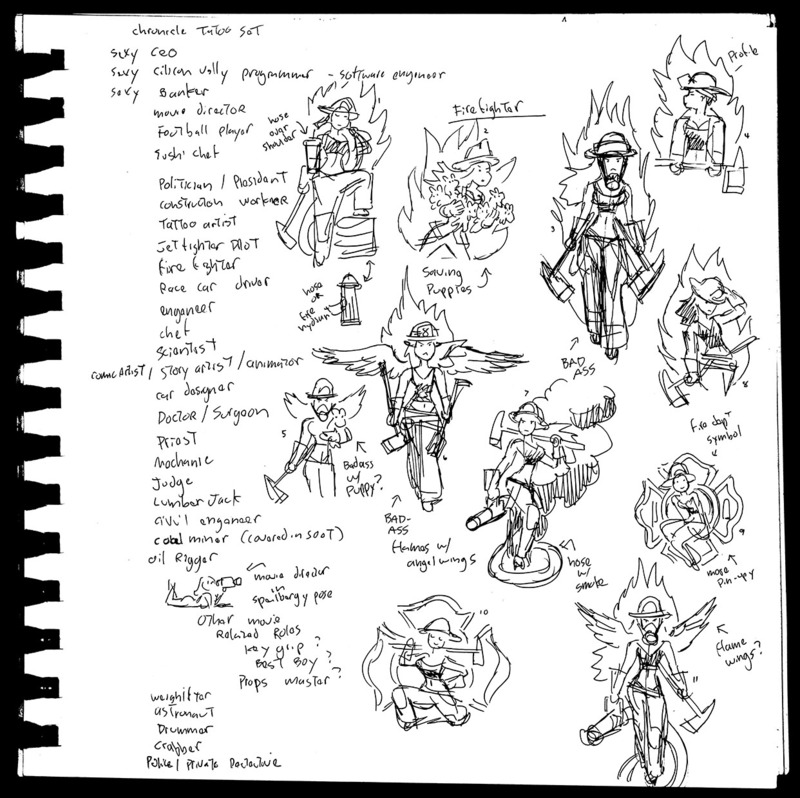 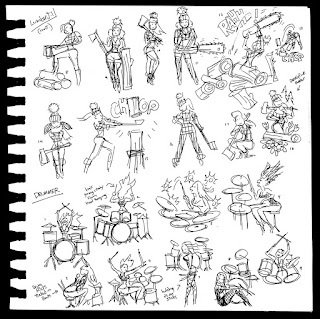 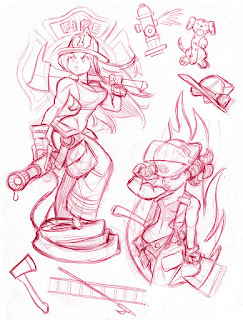 Roughs for my Working Women temporary tattoo set. 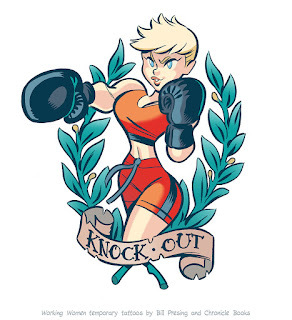 Working Women Temporary Tattoos Now Available! 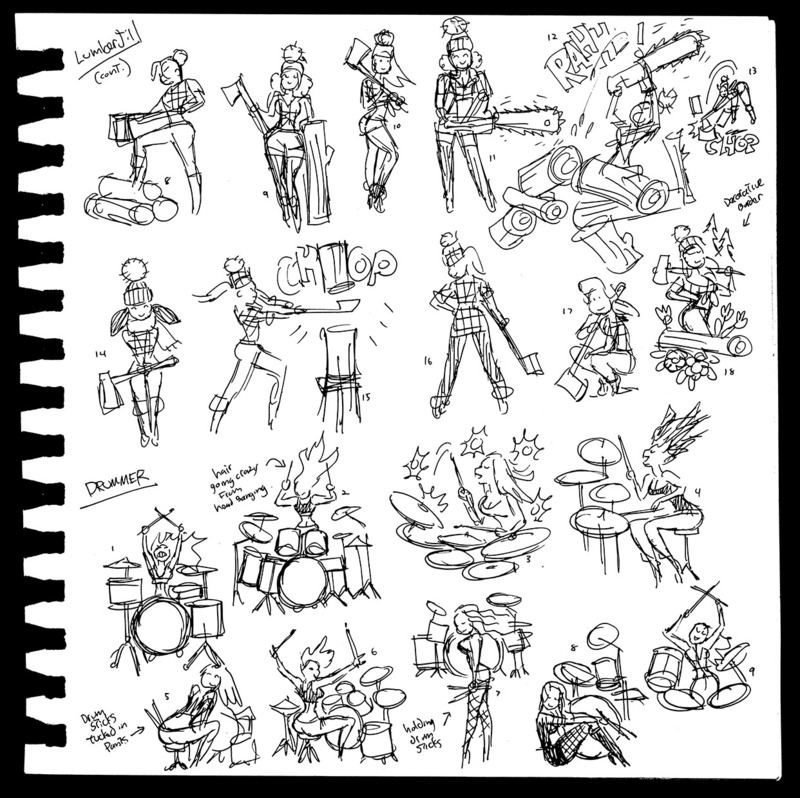 Another final for my temporary tattoo set. 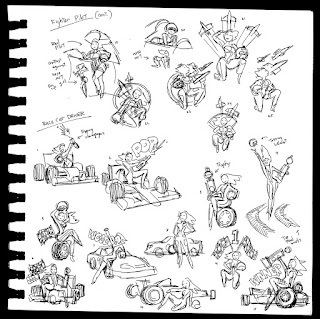 I've turned the comments back on. 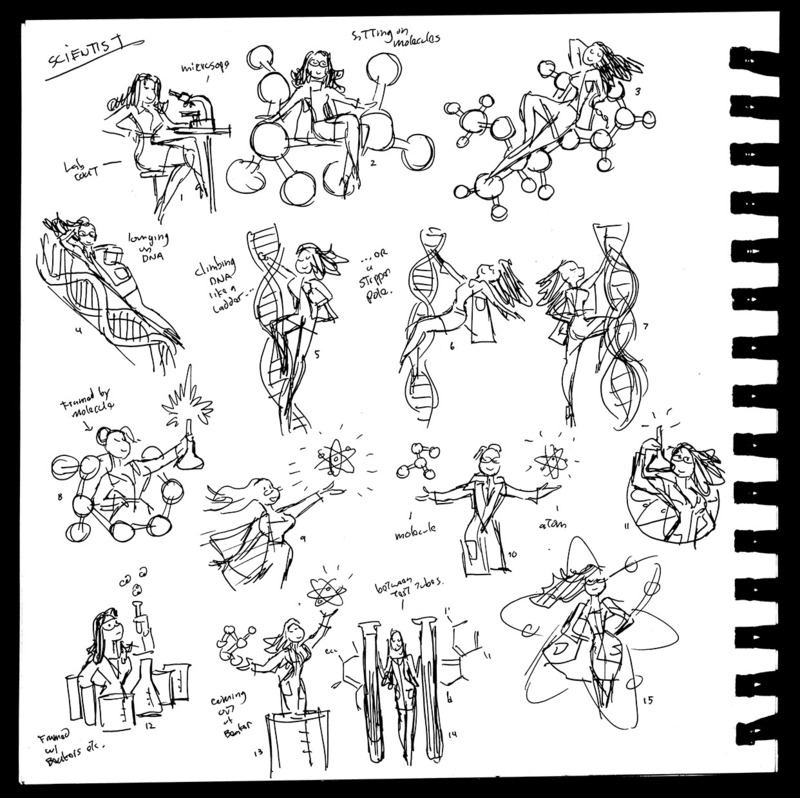 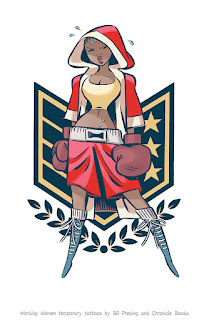 Some more roughs for my upcoming temporary tattoo set from Chronicle books. 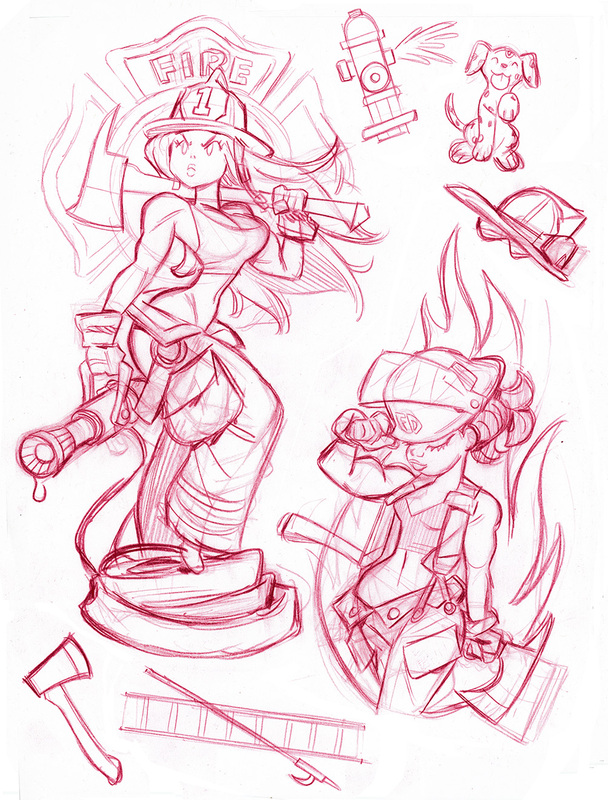 The one in the lower left is an unused alternate. 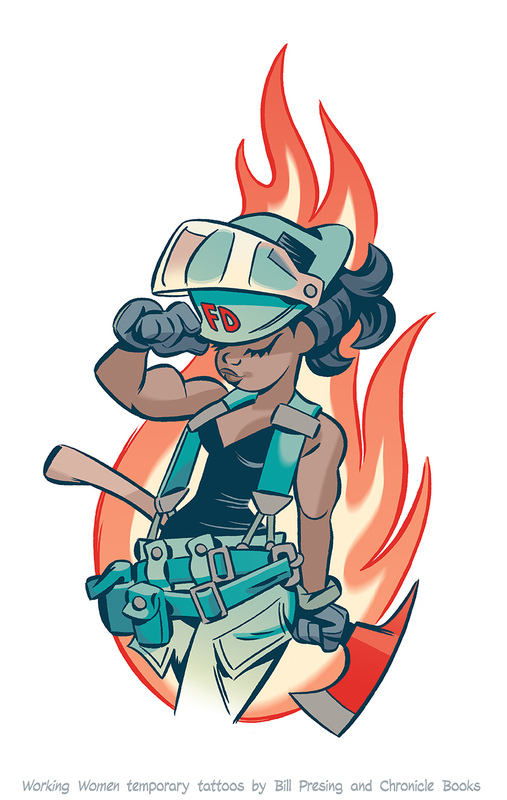 Final art for one of my firefighters. 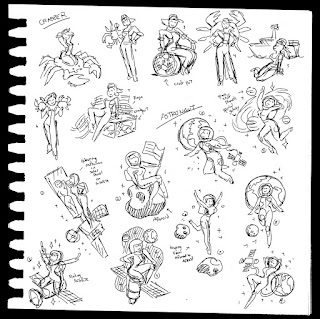 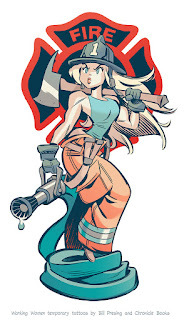 Working Women temporary tattoo set is coming March 29th! 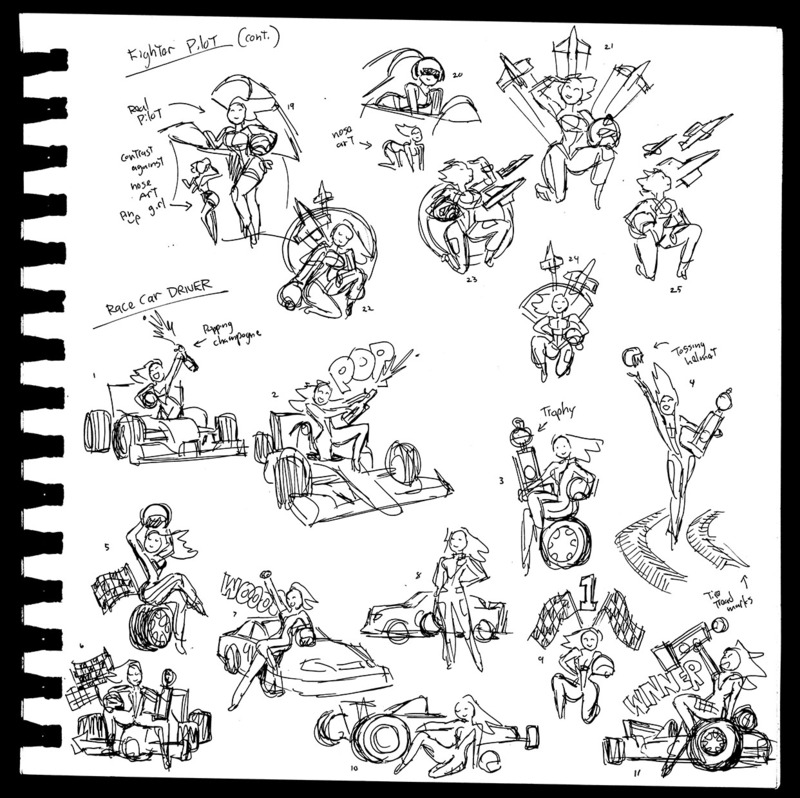 By the way, I've disabled comments on the blog for the time being. Hopefully it'll eliminate future spam. 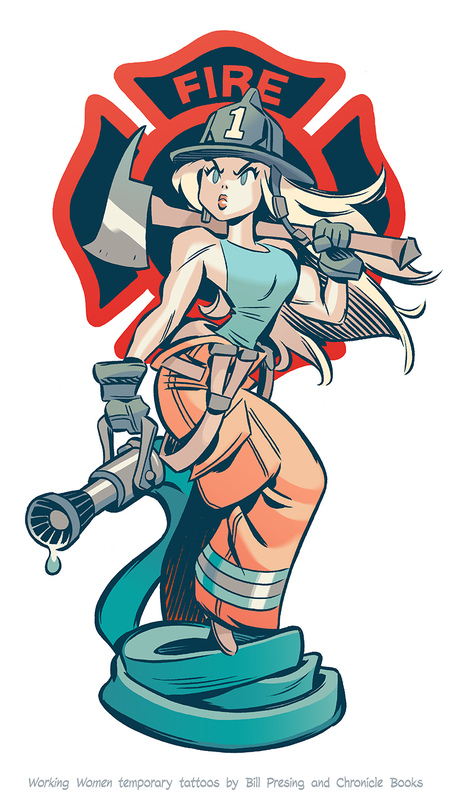 I'll turn it back on soon though. 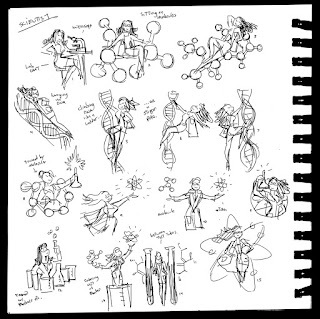 Some roughs for my upcoming temporary tattoo set from Chronicle Books. 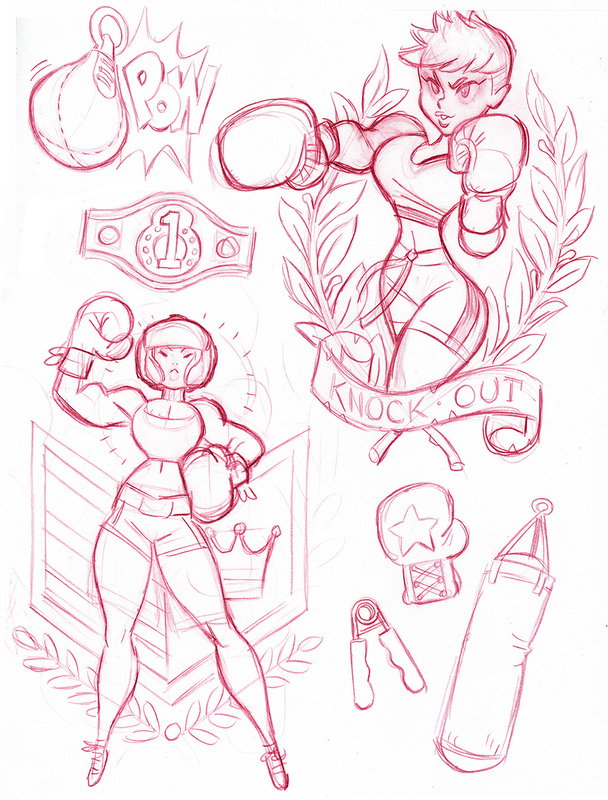 Some thumbnail exploration for a temporary tattoo set I've got coming out next month. 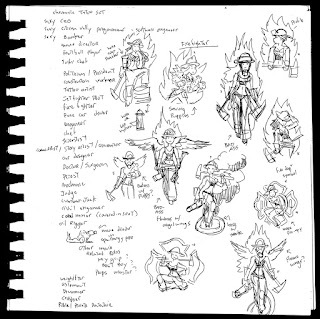 Of course not all of them made it to the final cut.